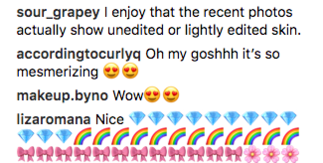 Urban Decay is changing things up with their latest Instagram posts and showing the world that make up can look good on skin that hasn’t been photoshopped too. 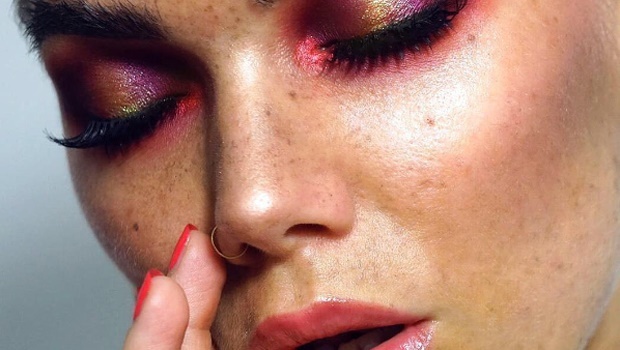 There are no filters, no touch ups and no editing, with models in fierce make up looks, but the difference is that you can actually see their skin textures, freckles and pores. And they still look amazing! In this age of Photoshop and FaceTune, it’s rare to see major beauty brands advertise products without altering the texture of a model’s skin. There are companies who agree how important it is to show un-retouched skin, but few actually do it. By letting the makeup shine on its own without the aid of filters, you can see how incredible the products really are. And will look on your own skin. 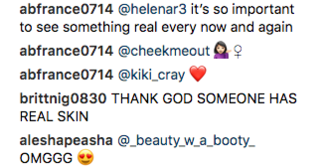 And people are actually noticing – the comments on the brand’s Instagram posts are great and really happy making as people share that they really love that they can see the model’s natural skin AND they appreciate the makeup. 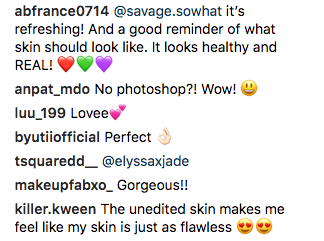 So this is a major step forward for a beauty brand to be finally showing us that our skin isn't any less beautiful just because it isn't photoshopped to within an inch of its life. Here's hoping other bands will soon follow suit.